Details are thin on the ground, but this is what the press release we just received says. Aprilia’s fastest and sportiest ever naked is now even better and becomes a new weapon for the road and the track. 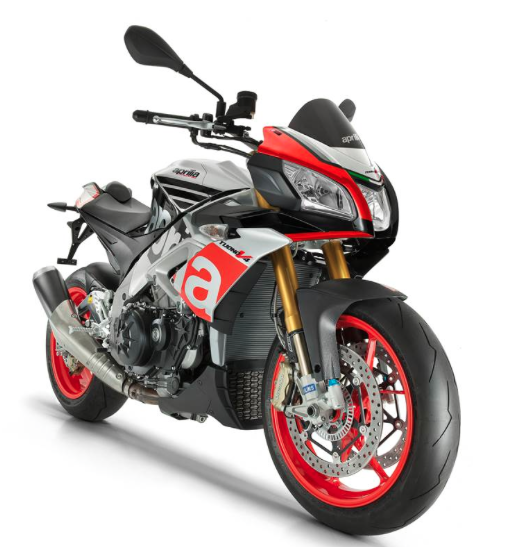 A direct descendant of the RSV4 (the bike that has repeatedly won world SBK Championship Titles) the Aprilia Tuono V4 1100 is adrenaline in its purest state. The performance of its unrivalled, revamped V4 engine has been increased to 1100cc and 175 HP: making it more efficient thanks to its revamped chassis and the further development of the already exceptional APRC electronic systems package. There are two models in the range – RR and Factory, characterised by a new look and distinctive features but with all the typical features of the Tuono heritage.